The FSUK Self clinch nut persuades material from the mating sheet to flow around the self clinch groove and notches. They are designed to ensure the sheet is completely flush on the back and each size of nut can be installed into a large panel range. The steel nuts are hardened and designed to go into sheet less than 80 Rockwell B, the stainless version is designed to go into less than 70 Rockwell B. It is designed to be installed into drilled or punched holes and must always be installed using a Squeeze action Press. SUITABLE FOR USE IN DRILLED OR PUNCHED HOLES. REVERSE SIDE OF SHEET WILL BE COMPLETELY FLUSH. TO SPECIFY= FSUK M4-1- S (STEEL)-Z (TRIVALENT). 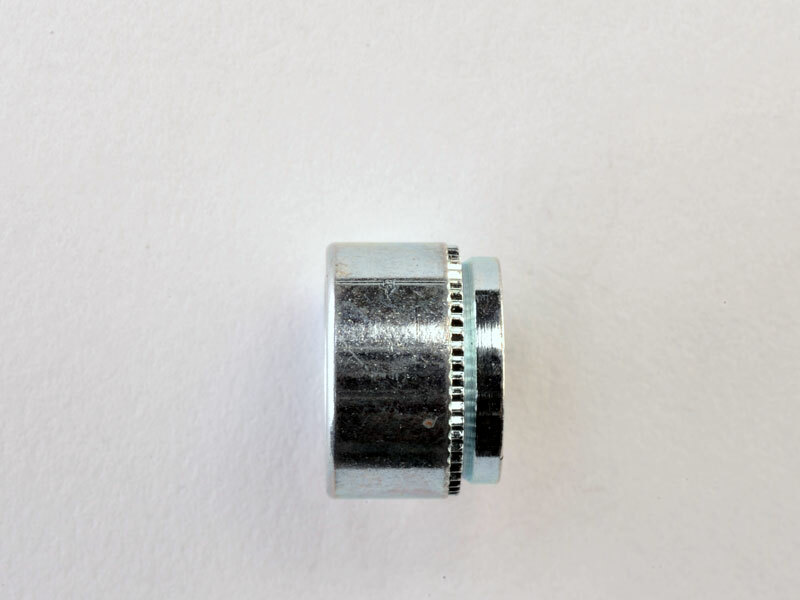 PLEASE NOTE WE STOCK ALL BODY TYPE TO SUIT THE LARGER HOLE IN M3, FOR EXAMPLE M3 (4.75) AND ALSO THE THICKER DIMENSION T ON M4 AND M5 WHICH IS 2.3MM.